Back in the '80s, Battlezone on the Atari was a 3D tank shooter well ahead of its time, and we were delighted (and intensely jealous) to see it revived by Rebellion for PlayStation VR and Oculus Rift last year. 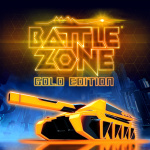 Well, we're no longer green with envy because Battlezone Gold Edition is coming to Nintendo Switch this summer! 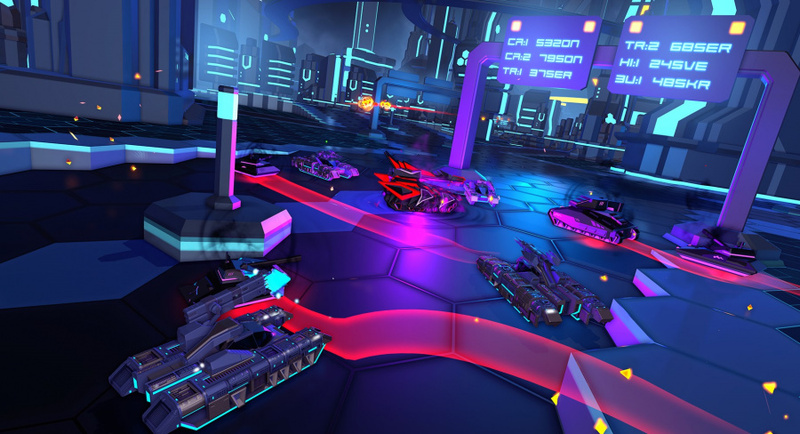 The rebooted version brings all the same in-tank battle action of the VR release, including the ability to play its lengthy campaign solo or with up to three other friends (or total strangers) in online co-op. The Gold Edition packs in all the released DLC, including all the cosmetic items you could possibly desire (and yes, that includes a Judge Dredd bobblehead for your cockpit). There's even a rad new Classic mode that enables you to play in the green wire-frame aesthetic of the original. It looks awesome and will suit Switch's continued embrace of all things retro to a tee. We should mention that there's been no official confirmation from Rebellion just yet that all the features present in the other console versions will feature on Switch, but considering the close parity of last year's Rogue Trooper Redux port, there's a good chance we'll be blasting away with the full experience. We'll let you know details on an official price as soon as we know more. Remember playing the original on my commodore 64. Acutally think i still have it on a cassette in my loft. Too bad they didn't get Code Mystics onboard. Emulated versions of the arcade classic and the Atari 2600 port would've been nice extras. Huge fan of the original, looking forward to this. One of my favorite Atari games!! This looks great! Multiplayer blast-'em-up fun and a Captain Falcon bobblehead to boot. Rebellion is a great studio, looking forward to this. Also, where is my Switch version of Polybius? With first person view? This game looks radical! Gimme! I like the little Rogue Trooper (Terminator, and Judge Dredd?!) bobble head on the dashboard. This game is brilliant on PSVR, I might even double dip to have it on the go. Day one. Huge fan. Hope we get 2 as well. Was a big fan of the original. The video reminds me of an arcade game from the early 90s. Can't remember the name and Google isn't finding it. Absolutley! Can't wait for this! I was wanting a HD port of the 3DS Tank Troopers (seeing as Sushi Strikers got one), but this looks more than good enough to scratch that itch. Why do game developers think we need backstories for everything? I'm in a tank, there's another tank shooting me. I will shoot it. That's all the story we need. And if I do get this game, I will never leave classic mode. I might pick this up, but nothing will ever beat the experience of playing the original game in its mindblowing arcade setup. That is an indelible memory from my childhood. I would play Battlezone everywhere I found it. I REALLY hope this has an option for gyro aiming as that would be a perfect Switch addition considering there is no VR option. I loved this on PS4 and would happily grab it up on Switch provided it gets a physical release. Tanks! Where are the bloody tanks! I would appreciate a port or a remake of the classic Battle City as well. If be released at card I take it !!! I'm big fan of the series.